I like to consider myself a fairly good "Col Hunter." But my friend Bastien is a true expert. I like to consider myself a fairly good “Col Hunter.” But my friend Bastien is a true expert. The Beaujolais region is just north of Lyon. It is famous for its wine, especially the low cost, but immensely popular Nouveau Beaujolias. We started low, below 200 metres, on the west side of La Saône river in St-Georges-de-Reneins, but quickly headed up through the vineyards into the Haut Beajolais. It’s a beautiful, sparsely populated region with lots of quiet roads, forests, rolling hills, and Cols absolutely everywhere. 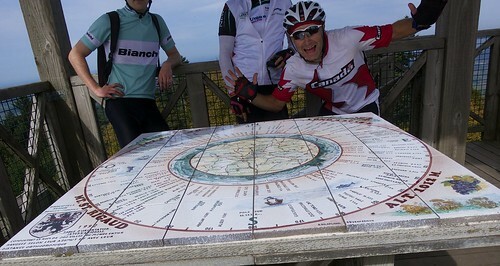 In addition to the 16 cols, we climbed to the summit of Mont St. Rigaud – the highest point of the route at just over 1000 metres. The last kilometre or so is nastily steep, bumping over 20% briefly. But the reward at the top is a tower – similar to forest-fire lookouts – with views across the region. It was fairly hazy but Philippe assured me that the white thing in the far distance was Mont Blanc and not a cloud. 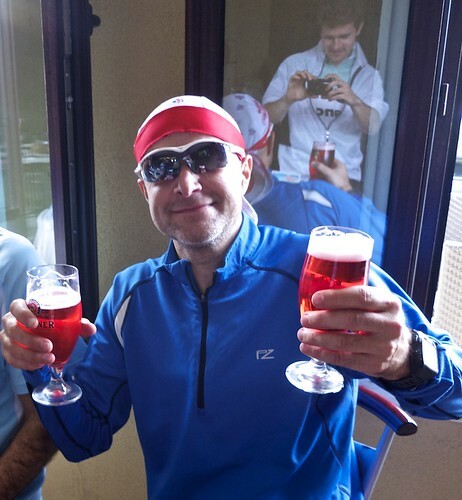 And instead of a beer to celebrate this fabulous ride ….I had my first “Monaco.” Cheers. For another col hunting route in the Haut Beaujolais a little further north but including a few of the above cols see here. Hi Will, well done. Is this all tarmac? 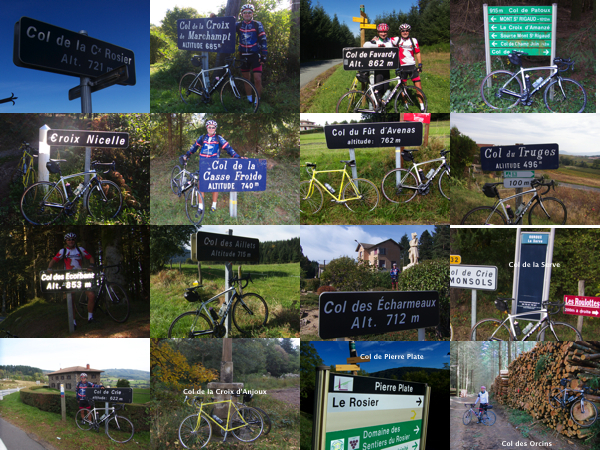 I see the forest trail for the ‘tas de bois’ photo. Yes, it’s all paved. we were just a few metres off the road for the photo. 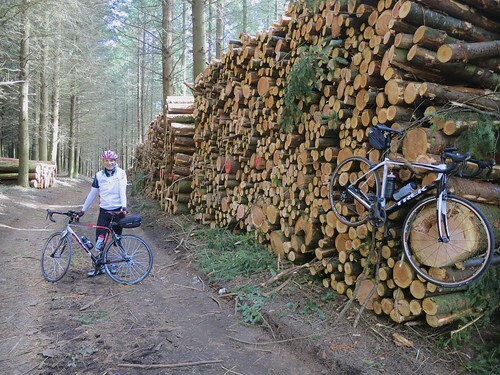 There are lots of trails and forestry roads in the area that would probably make some fun mountain biking – maybe one day.